Ever wondered the best way to pick your watermelon? Here’s instructions on how to get the best one! Here are some ways to pick a perfect, juicy watermelon to bring home to eat! 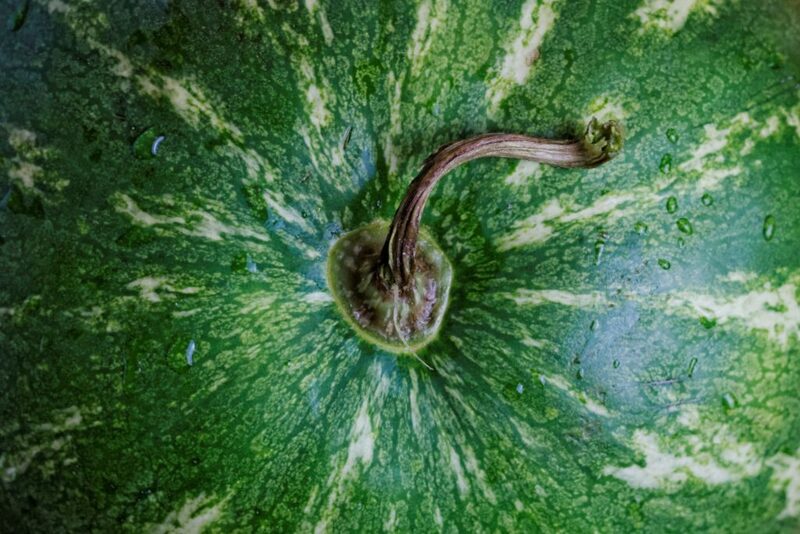 Have yo ever noticed large yellowish spots on a water melon? Those are called field spots. 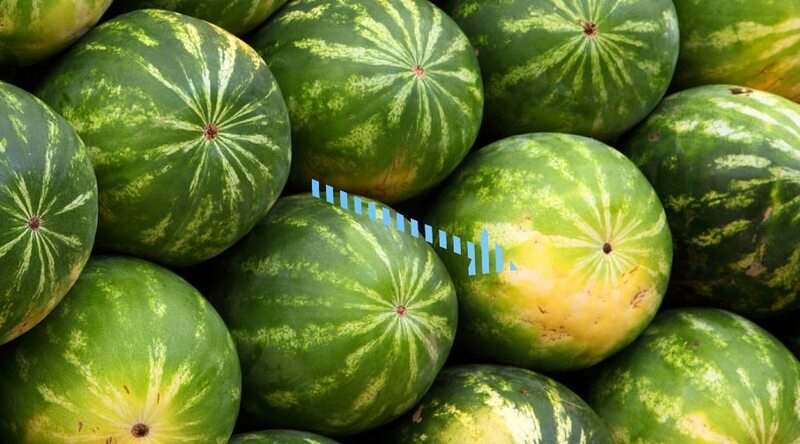 Everyone water melon has one and it shows you where to watermelon rested on the ground before it was picked. If the spot is very small that means it was picked too soon and wasn’t ripe! You want to pick a watermelon that has a nice dark yellow or golden yellow spot. Those are the best! Next look for the brownish colored webbing. 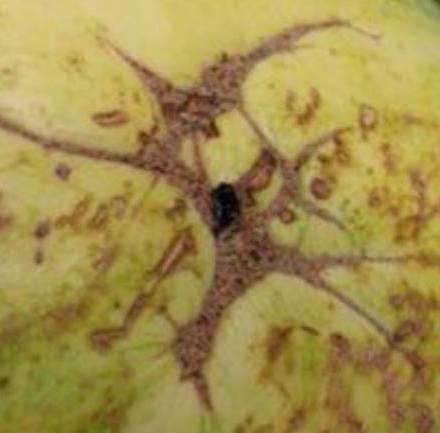 This is caused when bees pollinate the flower and scar the membranes that later forms the fruit. The more pollination, the more webbing, which means sweeter fruit. Not every watermelon will have webbing but can still be really sweet and ripe. Watermelons have genders, bet you didn’t realize that! Boy watermelons are tall and girls are more stout. Boys are more watery and girls are sweeter. A lot of people buy the biggest watermelon they can find. We all want to get the best bang for our buck. But bigger isn’t always better. Medium sized watermelons are best. 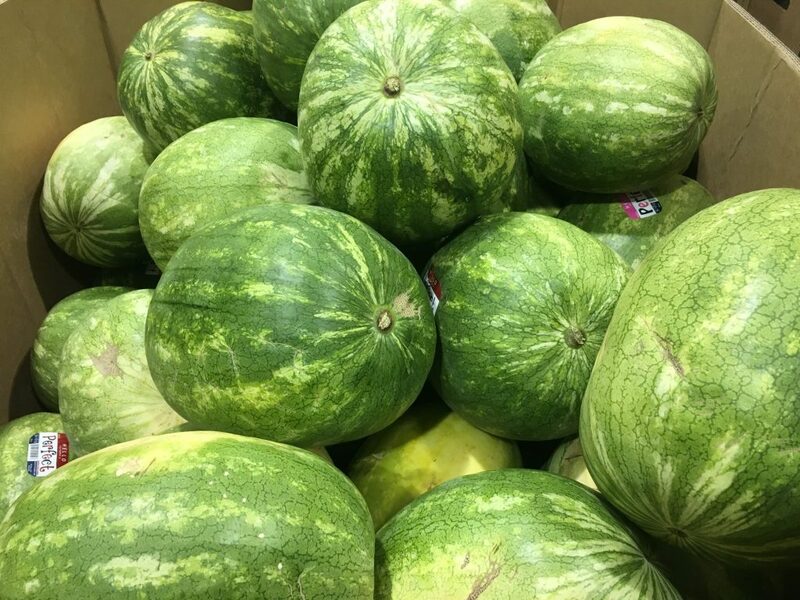 Watermelons with dried tails are more ripe then those with green tails. When I was a kid, the produce stands would cut out a small plug to see if it was a good one. My husband’s a thumper also, I’m going to buy one using these methods and see what he has to say upon tasting it. Thanks for the tips! Thank you! Shared with my co-worker…Watermelon season is here…thanks for the tips! Thank you, very useful info…….